我幾年前寫過一篇怎麼帶外國人遊台灣後, 就有人問過我要怎麼向外國人介紹台灣(歷史). 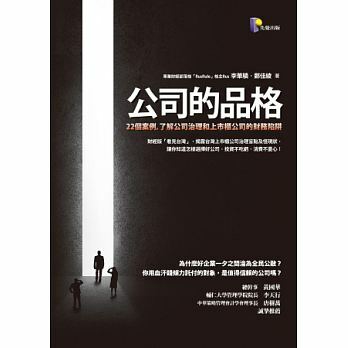 也如同我一貫的風格一樣, 我答應了網友要寫, 就是一直沒動作(但我一直記得). 最近剛好帶了三個美國的青少年遊台灣(分別是14, 17和18歲), 在蘭陽博物館時我隨口用英文簡述了一下台灣歷史. 沒想到三位青少年還聽得津津有味, 所以我也就把這份介紹放上來. 因為這是臨時講的, 也是口語, 用字不見得很精準. 但可以供後續需要的人作參考. Geographically, Taiwan is an island on the south-east to mainland China. Pretty much like Cuba to US continental and Beijing is just like Washington D.C. In the mainland era, nobody cared about islands and ocean…so Taiwan was long long time an abandoned island, only pirates and fishermen used it as supply base. Then it comes to early 15th century, as you know the “Great voyage era” or “Era of Discoveries”. Started by Portuguese, they crossed the south Africa to India and then to China. They occupied Macau as base to do business with China. Followed by Spanish, they occupied Philippine and you know, that is how Philippine got its name. It is named after Spanish Prince “Philip”. Then, Spanish moved north and occupied north of Taiwan. (Spanish ever occupied Taiwan?) Exactly, we still have two popular Spanish city names in Taiwan. One is Santiago, the other is St. Salvador. (p.s 三雕角和淡水紅毛城). Also, between Taiwan and China, yes, that’s Taiwan Strait, there are a serial islands. In Chinese, we call it Penghu(澎湖) but guess what is its western name? It is “Pescardores”…What is it in Spanish? Exactly, the “fishermen”. By the way, Taiwan has a nickname called “Formosa”. What is that in Spanish? (Hermosa?). Yes, it is from Spanish or Portuguese, "isle Hermosa", which means beautiful island. If pay attention, you will see it in airport or lots of places. The 3rd European to Asia is Dutch. They occupied Indonesia for spices but it is too far to deal with China and Japan. So, they tried to attack Macau but failed. So they found Penghu(Pescardores) and built a fort over there. But they were expelled by China government so eventually retreated to Taiwan. The Dutch landed in the south of Taiwan, where is now the Tainan (台南) city. The funny thing is when the Dutch first contacted 台南 aboriginals. Normally, what is your first question after long lost cruise? “Where are we, right? “. Those aboriginals answered “Taiwan”. So the Dutch recognized and recorded this place as Taiwan and Taiwan became this island’s name. But, the truth is those aboriginals didn’t know at all what the Dutch was talking about. They yelled “Taiwan” because Taiwan in their language means “foreigner”. That is a beautiful mistake. The Dutch were reluctant to Taiwan in the beginning but eventually found Taiwan a treasury island because Taiwan was abundant with deer everywhere and perfect weather for sugarcane. So the Dutch made a big fortune by exporting deer leather and sugar from Taiwan. After taking Taiwan into his territory, Koxinga started to build some systems to complete his kingdom. He recruited lots of people from his hometown in China to cultivate the farm. He set up schools and exam for education and built several cities. This is the first time Taiwan into civilization. However, his kingdom lasts only 20s years, the barbarians which then was called Ching Empire, sent fleets defeat them. Taiwan is back to China. When Ching conquered Taiwan, there was a debate, should we take Taiwan into our territory or simply abandon it? You know that is great mainland era, nobody cares about island and ocean. In the beginning, the emperor inclined to give up, however, a minister said, if we give up, those rebels and pirates will gather in this island again, then we have to repeatly send troop for war . The emperor took his advice but with a brilliant way. 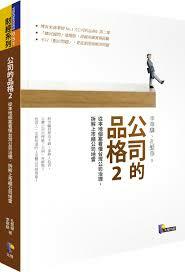 They didn’t give up Taiwan, however, they didn’t allow mainlanders moving to Taiwan only islanders can move to China. They closed the island. Then, Taiwan passed about 200 years in this way. During that period, even with the bar, lots of mainlanders, especially from Fujiang, the province just in the opposite of Taiwan Strait, secretly move to Taiwan. Because Fujiang is hilly hard to farm but Taiwan west side is plain and with good weather to harvest 2-3 times per year. In the 18th~19th century, by the Industrial Revolution, the West advances the East. European and US occupied lots colonies all over the world. In Asia, Japan found himself must change or die so they followed all western way as you see in the movie, “Last Samurai”. Anyway, after the change, Japan became one of the new power in Asia and they were eager to have their own colony as well. Taiwan is their 1st target. At that time, the China government realized the importance of Taiwan, then to upgrade Taiwan as province and started to construct Taiwan. The funny thing is, on that time China wanted to modernize as well . However the conservative power was so strong. People thought the railroad will ruin the Fonshui (風水), the light in electric pole will absorb your soul…something like that. So Chinese were all against those modern technologies. But, not in Taiwan. So, China’s first railroad, first electricity wire, pole..are all in Taiwan. Eventually, Japan and China had a war. Japan defeated China. In the treaty, China cut Taiwan to Japan. So Taiwan became Japan’s colony and the first colony. Japan controls Taiwan for 50 years and brought Taiwan lots of modernizations. New cities, airports, harbors, watering systems…That is also why many elderly people in Taiwan can speak fluent Japanese. In Asia, most countries don’t like Japan mainly because of the 2nd world war history but Taiwan is a few, actually I may say the only one country which is very close and friendly to Japan. And then, you know, 2nd world war happens. Japan joined Axis with German and Italy. China with US, UK and Russia formed Allies. At the end, Allies won, so Japan has to return Taiwan to China in year 1945. Then Taiwan is back to China again. However, after the world war, China started its civil war. Pretty much like East and West German or North and South Korea, China divided into two camps: Communist and Democracy. At the end, Communist won, the loser side led the troop and followers to Taiwan. That is why in many official sign or documents, you will see Republic of China here, that is our official country name and the China you are familiar is called People’s Republic of China. Even though lots of controversies in politics, like should we sticks to China or just simply Taiwan, Or, you may hear a lot like China thinks Taiwan is part of China but many Taiwanese think we are not Chinese. Anyway, in 1949 the great immigration from China, roughly 5 million people, did bring highly diversity to this island. Therefore, even though Taiwan is pretty much like Connecticut size, however, it gathers all province people from China. Also all kinds of food, even pretty girls. So, that is modern Taiwan, a mixture of Chinese, Japanese even American culture. 以上是當天約略的歷史簡介. 前面很詳細後面很簡略, 倒不是怕什麼課綱爭議, 而是小朋友本來就對這種海盗、野蠻人比較有興趣. 後面則是因為時間不夠講得急促一點. 說真的, 她並沒有去多少地方 但是拍出來的影片很有趣. 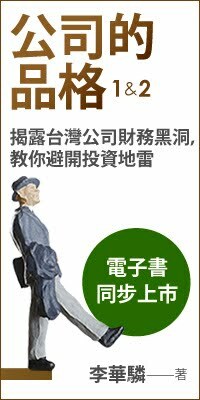 我覺得觀光局可以考慮多找這些素人 拍一些從外國人不同角度看台灣.